Players recently took to Reddit to show another glitch at Tilted in Fortnite’s BR. “Fortnite’s” new game tweak is just hours away as it is expected to introduce new skins and other cosmetics in the third-person shooter. However, players have constantly bombarded Epic Games with requests to fix the ongoing issues within the game. One of which is an exploit within the infamous Tilted Towers. The Redditor u/Kiramashu was just one the players who brought this glitch to light over on the FortniteBR subreddit. If the post is anything to go by, it may well seem that the so-called under the map glitch is still in the game. The clip showed as to where is its exact location and how easily it can be replicated. He even uploaded a video on his YouTube channel showing his friend’s POV where the one doing the exploit is completely unseen in most parts of the video. Other members of the subreddit pointed out that the glitch has been with Tilted for quite a while now. 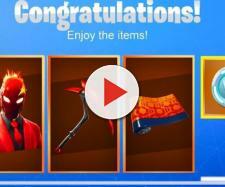 Some of them even jokingly stated that the notorious map location could be temporarily disabled just like what happened to the All-Terrain Kart (ATK) and Shopping Cart. There are also those who got irked with the OP now that more players will be learning of the exploit. At the time of writing, Epic has yet to address the ongoing issue. In line with this, it can be recalled about a week ago that players also noticed a bug with the Slurp Juice where it continuously heals a player even if they’re already knocked down. U/fillz1337 even posted a very short clip on the same subreddit where it clearly shows a downed player whose life bar continues to replenish itself albeit it is clearly shown in the video that the player was hit several times. Unlike the under the map exploit at Tilted, Epic responded to this post stating that they’ve already devised a fix on the issue adding that it will go live alongside update V5.2’s release. 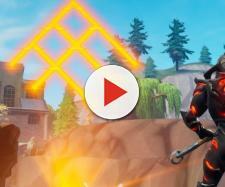 Another Redditor – u/Burgo0 posted another concern on r/FortniteBR as this has something to do with the so-called trap bug in the game. Building issues like this have annoyed players for the longest time, not to mention that it’s game breaking. Epic has implemented a number of fixes for such bug especially with the Builder Pro feature, though the issue just keeps popping up. Meanwhile, patch notes for the V5.2 patch are now live as it officially introduced the Double Barrel Shotgun in “Fortnite” BR. The update also announced a new Limited Time Mode (LTM) known as the Steady Storm. Per the notes, the new LTM has one constantly moving storm closing in on the island. 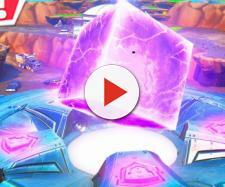 Players will have to stay ahead of it and eliminate opponents at the same time to snag that Victory Royale.